When I was a kid, my grandmother used to watch me after school. Since my grandparents only had one car, we would drive into downtown New Bedford, Mass. to pick up my grandfather from work at the end of the day. We would park and wait for him next to a lighthouse. It wasn’t a real lighthouse. It was a miniature lighthouse in the middle of a downtown business district. I learned years later that it was built as part of the New Deal. I heard once that a guy used to sit up there and point out where the open parking spaces were. That didn’t happen anymore when I was a kid, but it was still a cool lighthouse. One day, when I was eight years old, we arrived to find a group of city workers labeling each of the stones that made up the lighthouse in chalk. In the days that followed, they tore it down to make room for a bus terminal. What a bummer that was. Sometime later, we were driving into the city’s busiest intersection (known less-than-affectionately as “the Octopus”) and found the city workers sorting through a pile of stones. 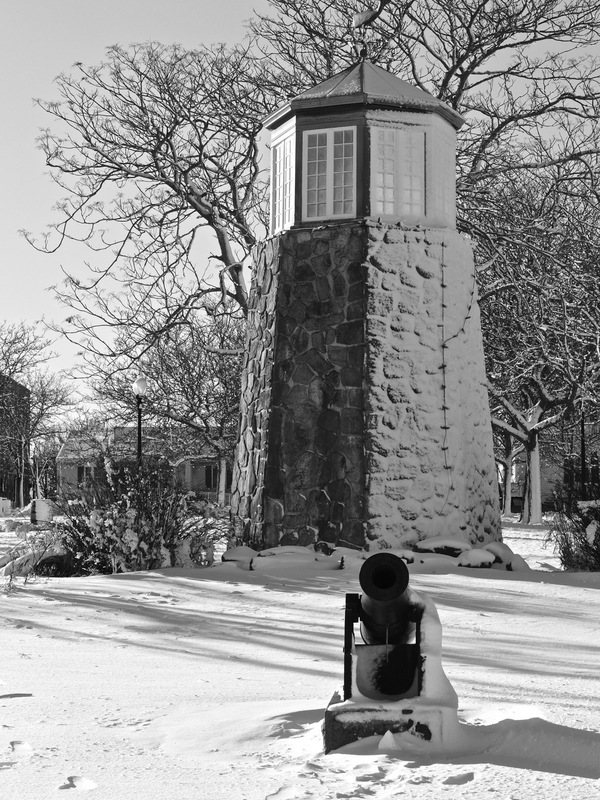 In the days that followed, they rebuilt the lighthouse in a small park behind the intersection. They didn’t take my lighthouse away. They turned it into a giant jigsaw puzzle. Awesome!